Douglas Grose passed away October 19th 2006 at Rosewood Care Center in East Peoria, Illinois. Born December 5th 1922 in Pekin, Illinois to Carl and Georgia (Hill) Grose. He married Ruth Mugele, and is survived by three sons, Tom and (Anjar) Grose of Washington State, James Grose of Washington State and Wayne Grose of Illinois, one daughter Vera Harrison of Peoria, Illinois and one Grandson Jean Pierre son of Tom and Anjar Grose. He is also survived by his brother Kenneth Grose of Quincy, Illinois, and cousin Donna (George) Kozuch of Peoria, Illinois and many devoted students and friends all over the world. Douglas Grose graduated from Peoria High School in Peoria, Illinois, received an Associates degree in Criminology from Illinois Central College and also has an honorary Doctorate in Oriental Studies. Douglas Grose joined the Army Air Corp in 1942 and served as a Master Gunnery Instructor and a Tail Gunner during WWII. While stationed in Podington England he flew 13 missions, all in B-17 Bombers. On his first mission Mr. Grose was shot down . Out of his crew, four members made it back to Allied controlled territory. While on a mission over Berlin Germany, his plane lost two engines and he was hit in the chest and back by flak. Mr. Grose was shot down a total of three times while on bombing missions. On one of his last missions his plane was shot down behind enemy lines and Mr. Grose walked his way back to friendly territory. For his service to his country, Mr. Grose received The Distinguished Flying Cross, two Bronze Stars and several other medals including a letter from President Harry Truman for bravery, leadership and his contributions to the service. In 1942, while in the Air Corp, Grose studied the Shintoyoshin style of Jiu-Jitsu under the direction of a Mr. Uechi Takashi. Finding this style of martial arts one of the best and most encompassing, Grose stayed with it to eventually become the Grandmaster of the American Shintoyoshin style. Mr. Grose’s martial art experience spanned his lifetime. Starting as a young boy learning Chinese gung fu, he continued studying in Judo, Jiu-Jitsu, Aikido, several styles of Karate, Tae Kwon Do and Kobudo (weapons). Mr. Grose was one of the early pioneers of the martial arts in the United States. 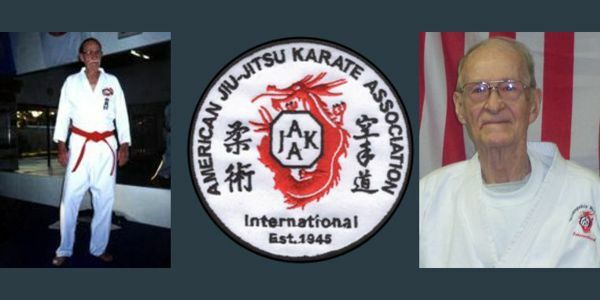 After the war, Mr. Grose founded the American Jiu-Jitsu Association in 1945, later changing it to the American Jiu-Jitsu Karate Association International to encompass both Jiu-Jitsu and Karate. The AJKAI is an internationally recognized and renowned Martial Arts Association known for its excellence and outstanding instructors. 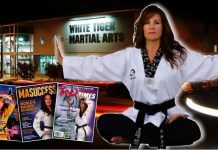 Mr. Grose studied, trained and become friends with some of the top martial artists in the world. 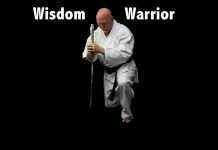 He has been associated with notable people such as Robert Trias, considered the father of American Karate, Hironori Otsuka, the founder of the Wado style of karate and the last Grandmaster of Shintoyoshin Ryu, and Shujiro Hotta of the Kendo Shintoyoshin style from Japan. These are just a few people that Master Grose was involved with over his life. 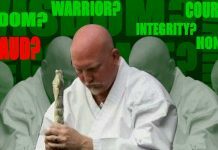 Mr. Grose obtained the rank of 10th degree Black Belt in Jiu-Jitsu and Shin Mei Shorin Ryu Karate from the International Okinawan Budo Kai and the A.J.K.A.I.. He owned and operated several Jiu-Jitsu and Karate schools over the years and had students come to study with him from around the world. Mr. Grose was a much sought after martial art instructor, giving hundreds of seminars all over the country. Mr. Grose was noted for his generosity and humor. From 1946 until retiring in 1974 Mr. Grose worked for the Peoria Police Department. In 1974 he became Chief of Police for the Farmington Police Dept, stepping down in 1977 to purse Private Investigations and devote more time to the martial arts. Visitation will be held Friday October 27 from 5:00 p.m. until 7:00 p.m. and Saturday October 28 visitation starts at 10:00 a.m. until services begin at 11:00 a.m.
Burial immediately following at Swan Lake Cemetery in Peoria, Illinois.